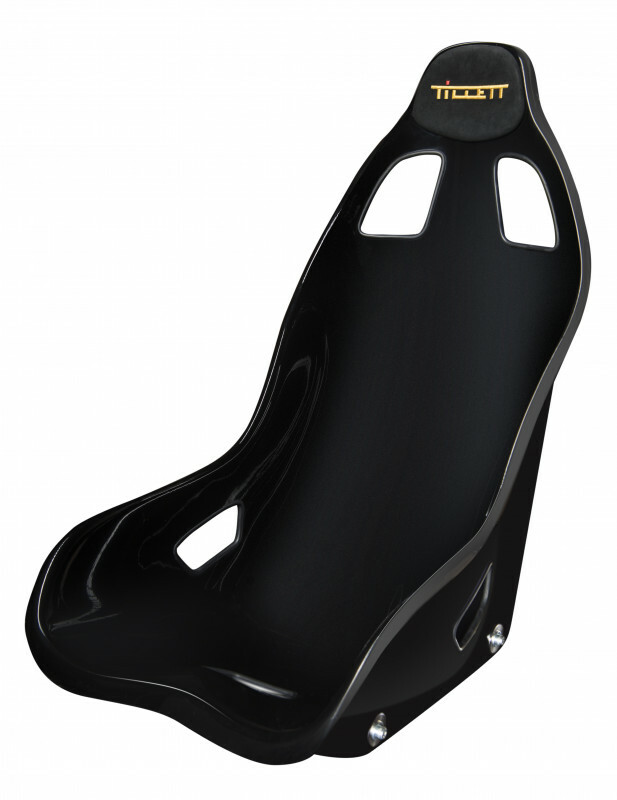 FIA 8855-1999 homologated racing seat in black GRP finish. Wider XL version with edges on. The new B6 XL Screamer black GRP is FIA approved to the 8855-1999 standard and replaces the popular B6F XL. This seat is a 30 mm wider version of the regular B6 Screamer. 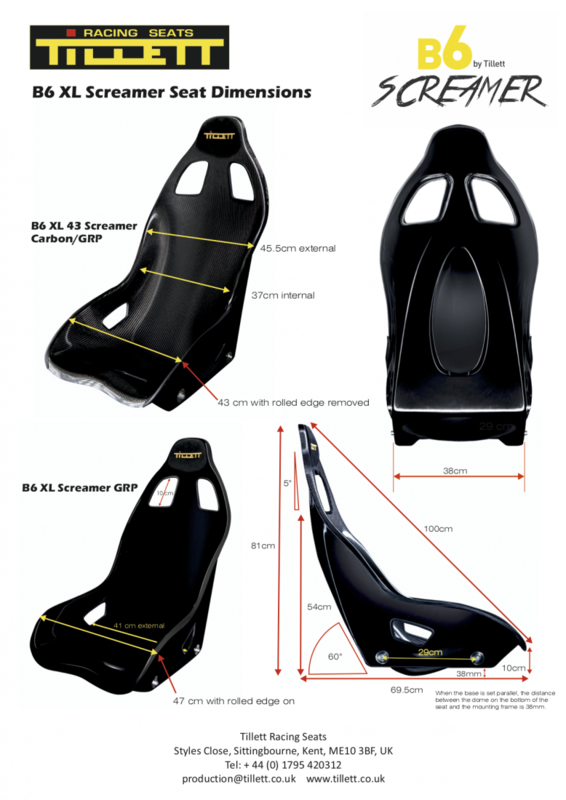 Importantly, the weight is now 20% lighter than the B6F as this seat uses a new moulding system which creates lighter seats with superior strength. The belt holes are now positioned higher for taller drivers. The rear of the seat has a new design which is more compact to avoid roll bars and is better looking. This seat is an excellent choice for track cars and generally requires running a full 5/6-point harness.  It's been installed in a variety of cars including drag cars, Nissan GT-R, Honda S2000, Lotus Exige, Corvette, Porsche, etc. It's possible to run a 3-point belt if you can get the lap belt to run through the lap belt holes. The lap belt should never be run over the top of the seat. A standard Dinamica® suede covered headrest pad is included with every seat, and padded Dinamica® cushion and back pads are available for purchase. The pads can be customized for an additional fee and requires extra lead time. This version is the wider XL version of the B6 Screamer series and the edges are left on which makes the seat 47 cm wide on the outside. It is a more aesthetically pleasing line to the edge of the seat and if you have room, we recommend this uncut version of the seat. The narrower B6 XL 43 with edges off is made to fit between a gearbox tunnel and door sill in a restricted width cockpit. The size of the two versions remain the same internally. All versions of the B6 Screamer series have side mounting points as standard which allows adjustment of height and angle when using our racing brackets TB F1, TB F5 and TB FIA. These fit the seats rigidly down to a flat floor giving the lowest possible driving position. The Lotus Elise/Exige specific EBF1 brackets are also usable on a dropped floor or when sited on top of runners.